Sunny has been involved in real estate since 2005 in various capacities as both a real estate agent and investor. 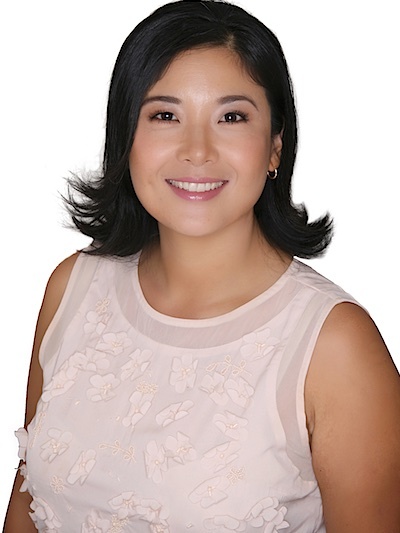 Prior to joining Hawaii Living, she specialized in luxury real estate services at List Sotheby’s International Realty. This experience fostered a passion for developing personalized services and innovative marketing efforts to serve local, relocating, and international clients through her expertise, warm personality, and intuitive nature. Sunny brings an educational and professional background in computer science and statistics, and currently owns a consulting business – providing data analytics and software development to government and non-profit organizations. She is an active member of the local technology community and volunteers her time to teach computer programming to underserved populations. Born and raised in South Korea, Sunny is fluent in Korean and English. When she is not “real estate-ing”, or coding, she often gazes upon the 2011 Kona Home Brew beer competition gold medal she and her husband won for their “Rusty but Trusty Red”. She enjoys horseback riding, road biking, and backpacking. When she misses teamwork, she plays roller derby - always true to her derby moniker, “Sunny with the Chance of Pain”. "Sunny is a knowledgeable, competent, energetic and caring real estate agent. She goes above and beyond her responsibilities. As a first-time home buyer, Sunny took the time to thoroughly educate me on the local market and provided much-needed guidance and support. She is very client-oriented and will work hard to make clients feel happy and satisfied!" "Sunny provided excellent service - she was good at not only targeting properties fitting my interest, but also exposing me to alternatives which helped affirm my final decision. She proved very knowledgeable of the whole buying process including clearly articulating steps along the way when I could withdraw without penalty. Thanks Sunny!" "Sunny showed several condo units to my wife and me when we were shopping for a home. She was very personable and friendly, and she picked a good range of properties for us to look at. I would not hesitate to work with her should I need to shop for a home again." "I have known Sunny both personally and professionally for ten years, and I highly recommend her. She is knowledgeable about real estate in Hawaii, and very passionate about supporting her clients. She is extremely responsive, which is invaluable in the stressful house hunting process. I also appreciate that she is easy to work with. I am secure in the knowledge that she is looking out for my best interests." "She also commiserated with me when that first offer didn’t get accepted and continued to actively participate in my search for another place. I met several realtors before deciding on Sunny. Sunny’s commitment to her client, knowledge on the market, professionalism, and above all her passion for helping you be comfortable with your purchase, sold me on choosing her to be my Realtor. Thank you Sunny ! You made my dream of becoming independent at home a reality."